Longtime drum corps fans Jack and Nancy Leavell, submitted this photo and caption. 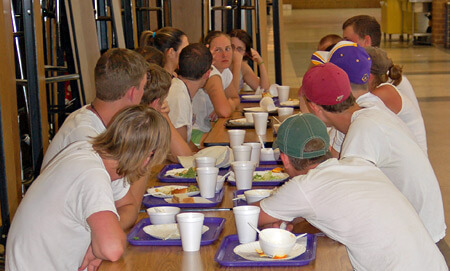 Members of the Carolina Crown mellophone section listen closely as Holly Maldonado (face not visible) explains an important point about the corps' spring training that will start in May. This photo was taken at Crown's April rehearsal camp in Fort Mill, S.C.